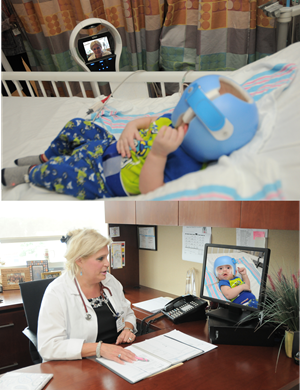 Because of the versatility of VGo, it is being used in a variety of applications in pediatrics. With VGo, a clinician, patients and family members can communicate and interact as if they were in the same room. Imagine a patient visiting with a faraway loved one, a child attending class from their hospital bed, a clinician seeking the opinion of an expert, all with just a few clicks of the mouse or swipes on an iPad. Click here to learn more about how Rady uses VGo. Not every child is lucky enough to enjoy time with their friends during the school year or over summer vacation as they undergo treatment in the hospital or while they recover at home. With VGo, Kailee is able to stay current in her classes, while recovering from surgery at Barbara Bush Children's Hospital. 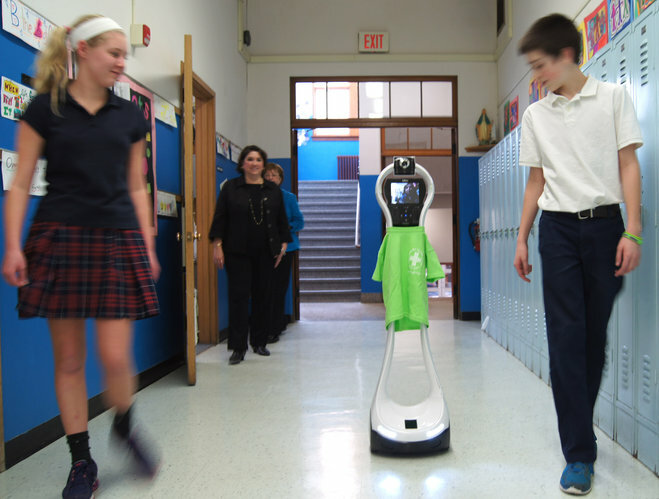 The VGo not only allows kids to communicate face-to-face via cameras and monitors, but it also roams the halls and sits in class wherever the operator chooses to go. "It has worked out perfectly," stated Melanie Stevens, a teacher at Noble Middle School. Click here to watch the video about Kailee using VGo. 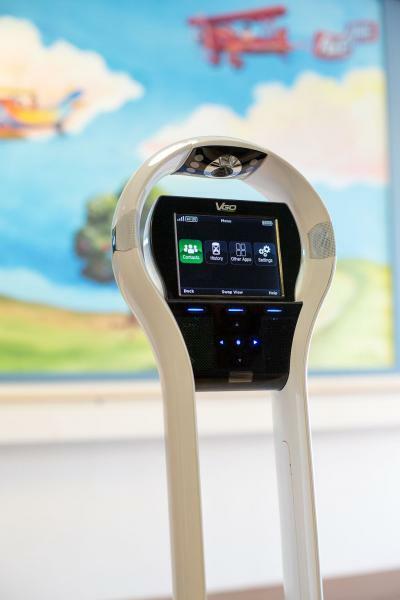 Children's Specialized Hospital is the first pediatric rehabilitation hospital in the country using VGo, a robot that allows physicians to interact with their patients at any hour of the day without physically being in the hospital. This new technology has endless opportunities to help children with special needs and complex medical conditions that are treated at CSH, the nation's leader in pediatric rehabilitation. "Telemedicine is transforming the way we provide health care, and we are fortunate Children's Specialized Hospital can offer this innovative tool to improve patient care and communication between health care providers and our patients and their family." said Christopher Haines, DO, FAAP, FACEP, chief medical officer. "It provides our physicians critical contact, at any time, to ensure continuity of care for children with complex conditions." Click here to learn more about how Children's Specialized uses VGo. Click here to see additional press on VGo at Children's Specialized. Click here to learn more about how Kyle uses VGo. Watch the Posnack Jewish Day School video about VGo. 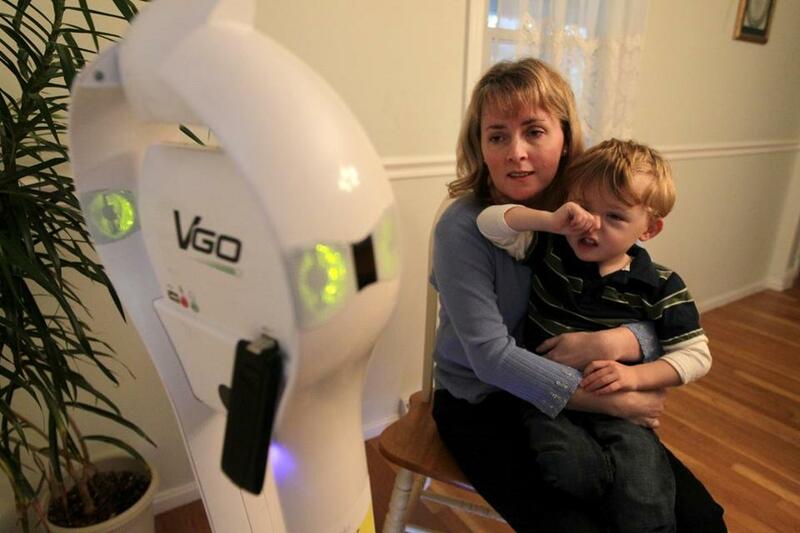 At Children’s Hospital Boston, the VGo robot accompanies some children home to further monitor their health. 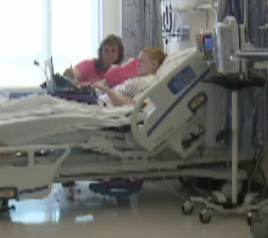 “The kids became more engaged in their healthcare. They suddenly cared about what was going on with them; they suddenly cared about what surgery they had and why they had it, and they cared about what they should do in the future to keep themselves healthy,” Dr. Hiep T. Nguyen, an associate professor at Harvard Medical School and director of Children's Hospital's Robotic Surgery Research and Training Center remarked. Click here to watch Dr. Nguyen talk about VGo. Click here to read more about Cookie. 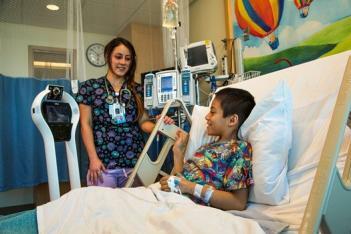 Weisman Children's is using VGo robots to improve patient care and cross language barriers. 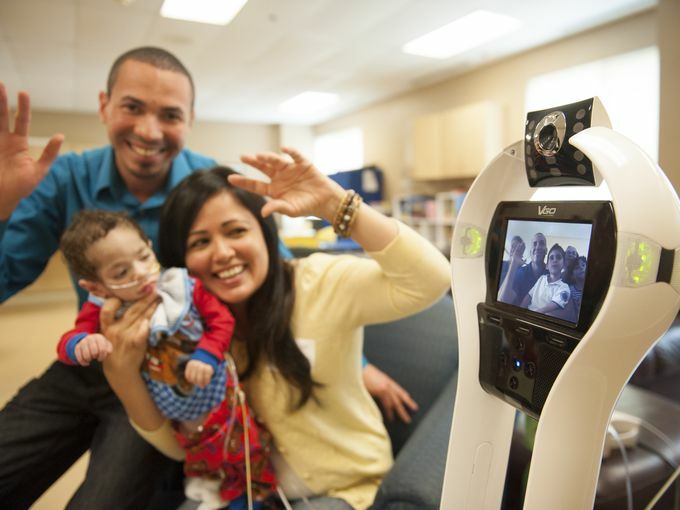 The VGo is used to connect patients, families, doctors, nurses and translators, and this technology is transforming health care. "The risk [with telemedicine] is the safety of health information," said Michael Rosiak, Weisman's chief operating officer. Because the VGo is encrypted and secure, it is 100% HIPAA-compliant. The robot's high-resolution camera allows the doctors to see a patient's pupil reaction and connect to the results of CT scans in the patient's electronic medical record. Besides allowing families to connect with each other, the hospital will also use the robot to access foreign-language translators off-site, especially important when patients' families speak less common languages. Click here to learn more about how Wesiman's uses VGo. After a complex seven-hour craniofacial surgery, little Dominic, just 8-months old - is being monitored by doctors at Children’s Hospital Boston from over a thousand miles away using VGo. 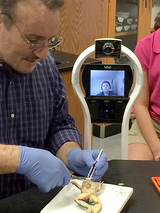 Now that he is home in Wisconsin with his family again, Dr. John Meara watches over his patient using a VGo robot. Mary Gundrum, Dominic’s mother said, "At one point we had some bumps or pustules on his incision site that I wasn't sure of, and I wanted to ask him about it. So instead of us just trying to describe what things look like, he can actually see it himself; he can zoom in, take still photos -- he can do everything but touch Dominic." Click here to learn more about Dominic. 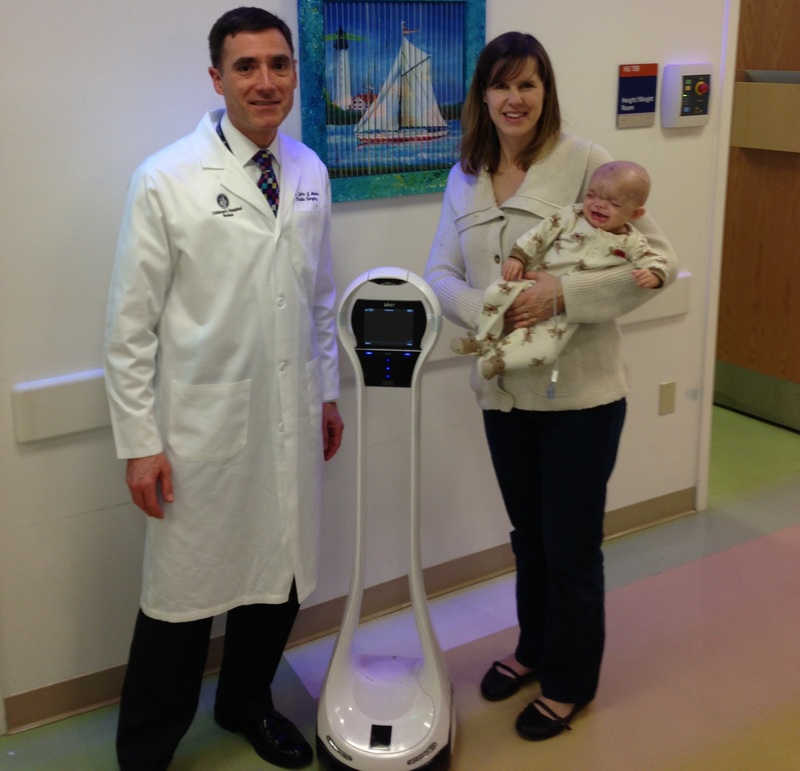 Click here to read other ways Boston Children's uses VGo.